Screens emit very strong blue light rays, also known as high energy visible (HEV) light that can have negative consequences on our health. As we are becoming more and more dependent of our screens, the more we are overexposed to these rays. Blue light irradiation is a new form of indoor pollution that must be seriously considered. The screen dependence in itself is an issue, but it also contributes to sleep disturbance, causes damage to the eyes, can have negative effects on child development and more recently, it was demonstrated to accelerate skin aging. With all of this, there is a growing consumer perception and awareness of the danger of screen light. As you can imagine, the market potential for screen light protection in cosmetics is huge, and thus the reason why Sederma searched for and identified three plant cell culture extracts to reduce the damaging effects of blue light irradiation to the skin. Thanks to advanced research and testing, these three products have all demonstrated the ability to protect skin against the harmful effects of screen light by reducing the generation of radical oxygen species, oxidative attacks and pro-inflammatory mediator release. This natural active ingredient refines the skin grain, making it feel soft and smooth. Citystem™ also helps lessen the appearance of blackheads, leaving the skin more radiant and purified. Majestem™ - A complete protection against oxidative stress: air pollution, UV and blue rays. Majestem™ visibly tightens the sagging neck skin, lifts the cheeks and smoothes out crow's feet wrinkles. It also helps to reduce inflammatory potential in skin cells as well as recreates skin tension by restoring the mitochondrial dynamism and protecting extracellular matrix integrity. 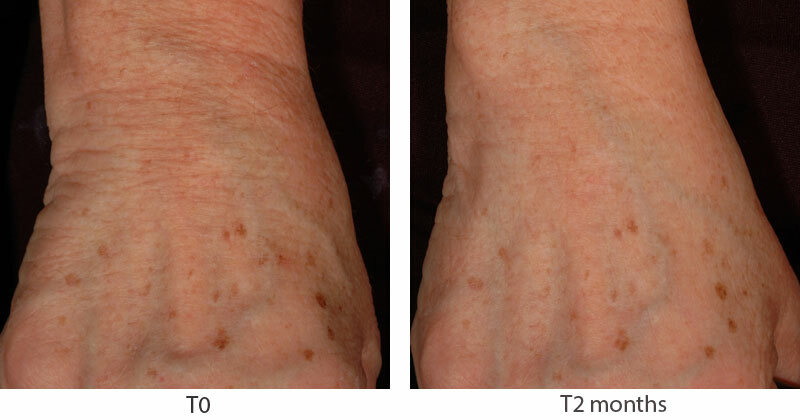 Senestem™ - Visibly fades signs of senescence, including screen light-induced dark spots. Senestem™ soothes and strengthens the epidermal junction and environment around the melanocytes, to limit the overproduction of melanin, enhance the viscoelastic properties of the skin and brighten the appearance of senile pigmented spots. Learn more about these natural ingredients and the amazing, consumer perceived benefits they deliver. Click here to order samples and literature.